Closed on Mondays, Opens from 4pm – 2am on other days! Gop Chang is down the road from me on Old Peachtree Rd in the Assi shopping center. I remember when the grocery store opened ages ago and it was the only thing in the entire complex. Slowly but surely all the spots filled up with random Korean businesses and restaurants. This area is a great easy option if folks don’t want to put up with the traffic on Pleasant Hill. The meal that we normally get is the combo that starts at $50.00, and it’s a pretty good snack for about 3-4 people. I believe it comes with pork and beef intestine (stuffed with some garlic cloves), tripe and liver, and some slices of onion and potato. It also comes with a single bowl of pretty spicy vegetable soup. 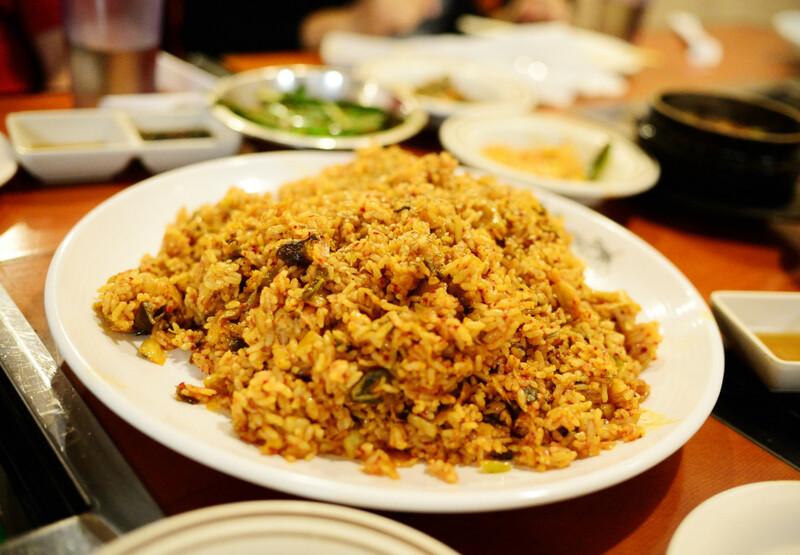 The kimchee fried rice is extra, but quite tasty and affordable at about $4 I think. The workers are always swift to come by to cook the meat and cut it for you too. The side items are what I love about Korean food. Lao people are big on pickled things as well, so you can see why the mixture of flavors is something we can agree on. 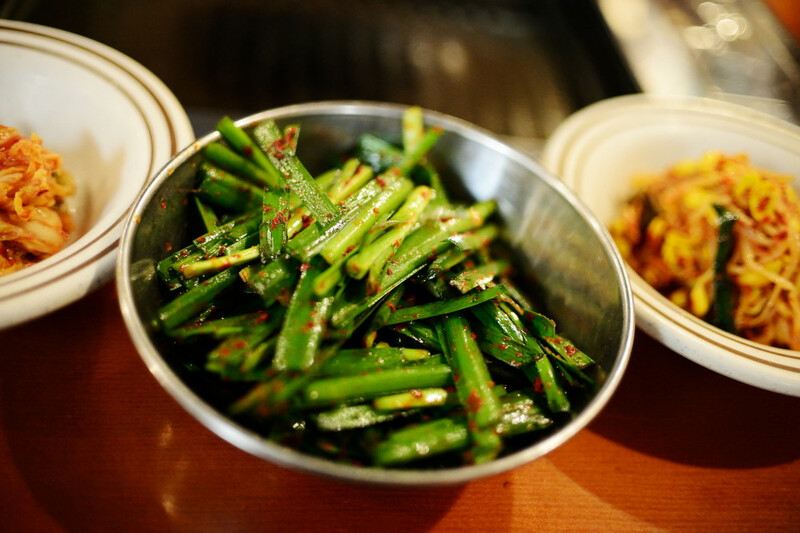 The chives salad gets better as you dig in, and as always, there’s no stinginess with refills on the side items. I think this was 3 orders of kimchee fried rice on one plate. Easily enough for 4 people. I could probably eat this by itself. The vegetable and tofu soup is pretty spicy. 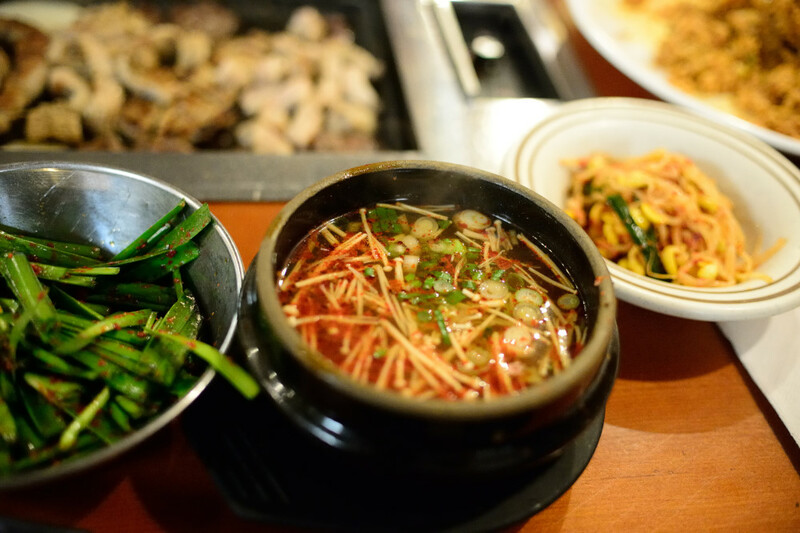 The broth isn’t the normal kind that you get at places like Tofu House or the Assi food court next door. If there was an option to get that soup, goodness that would be a powerful and filling meal. 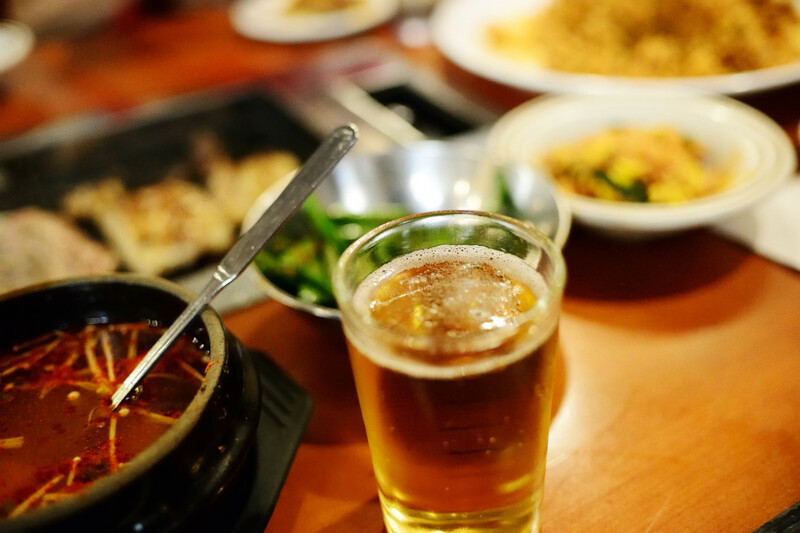 If you are a beer drinker, then this type of food goes well together. This photo shows the meat almost done and crispy. The combo plate has enough for two rounds, but you can order a la carte since it is not an all you can eat like Iron Age. 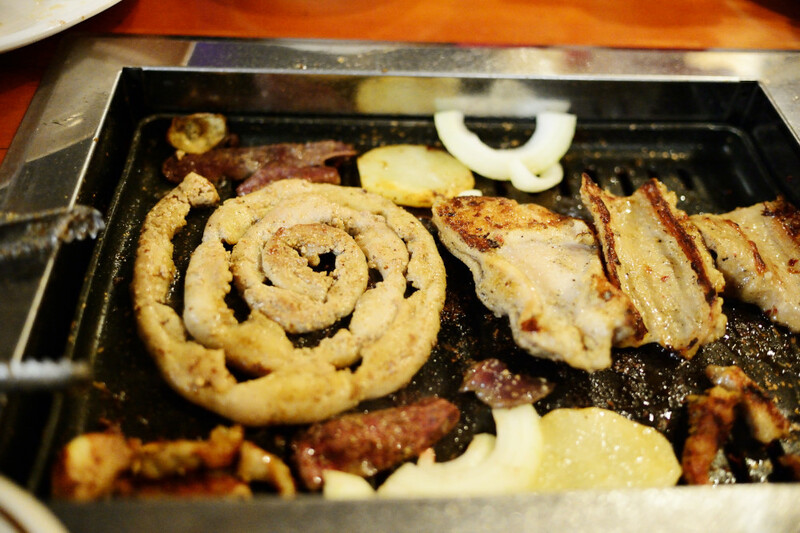 Some folks don’t like intestine and other innards because of just the nature of the meat. The way they cook it though, there’s not a sense of “kow-ness” (a Lao term) or a stench about it that might turn off folks already. It’s something that you kinda have to grow up liking because, well, many immigrants, my family included, did not have the means to eat the choice cuts of meat from the grocery store. Almost nothing is wasted in poor Southeast Asian countries, and you have to eat what mama cooked. 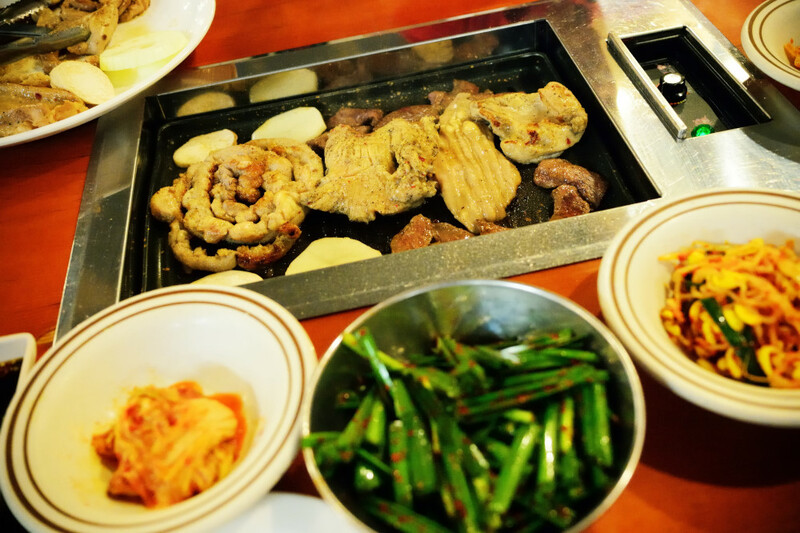 Myself and others really like this place because of the flavor of the meat and side items, and just how all the flavors complement each other. Living in Gwinnett County, there’s a Korean BBQ place on every corner so we’re definitely spoiled. Boon’s Review: Recommended The other great thing about Gop Chang is that next door is Arte 3, a cute coffee shop where you can get waffles and ice cream (which alas, I can’t eat)! Onward to the next post! Hello there! My name is Boon, an artist/photographer out of the Atlanta, Georgia area. I guess you could say I'm also a "tour guide" of sorts for visitors, or even friends who haven't strayed from their culinary comfort zone. I haven't been everywhere, but I've been lucky enough to share plenty of delicious meals with friends and family over the years! So for those of you thinking about visiting or even moving to the "sleepy south," hopefully you'll quickly find that the metro Atlanta area is so diverse with some of the best food! Thanks for visiting my food blog--an offshoot of all my random adventures with friends and family. Atlanta, specifically Gwinnett and DeKalb County has some of the best Asian food in the southeast U.S. In fact, some folks from surrounding states drive 4-5 hours here just to eat and grocery shop! 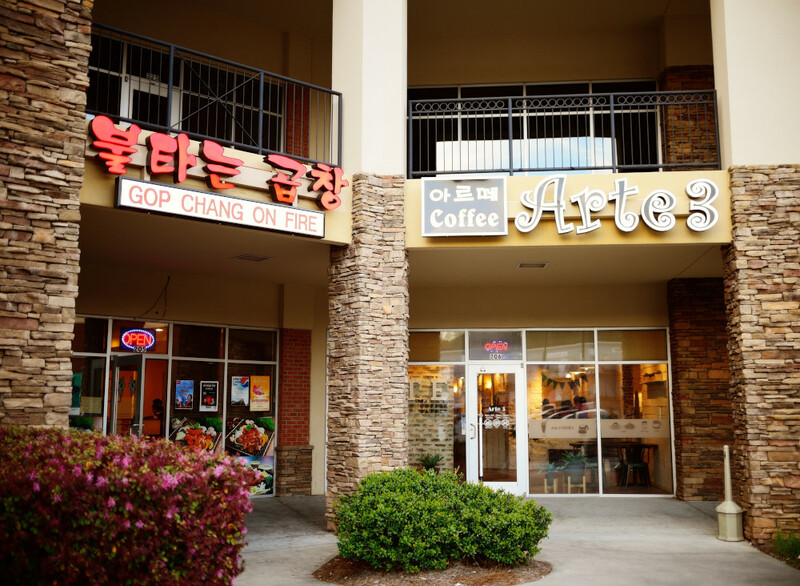 We are definitely spoiled as you can find everything from Korean, Ethiopian, Indian, Indonesian, Mexican, Chinese, Lao, Thai, and Vietnamese food--combined with dozens of Asian coffee and dessert hang outs.